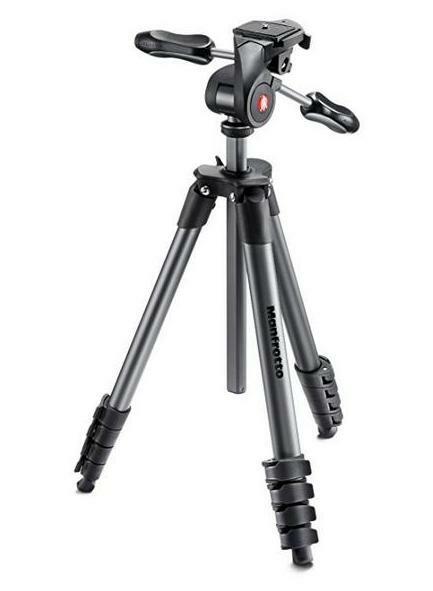 A solid tripod is a must while dealing with slow shutter speed to eliminate camera shake and capture sharp images. While it sounds simple at first to set up a tripod and use it effectively, many photographers don’t actually know how to use a tripod properly. Even if you have the costliest tripod on the market and know what to do to get razor sharp photos, your photos still could suffer from poor framing choices. Here are a few useful tips on how to properly set up, handle and use tripods. Before we touch the topic of using tripods, it’s necessary to understand the importance of having the best tripod system. Sadly, many photographers make poor choices while purchasing tripods. If you buy a cheap tripod, you will only end up in discovering that you should have something better. Don’t even waste your time in experimenting with different tripods and invest in the best travel tripod. Remember that good tripods typically are not available with a head, so, make sure you buy a solid head too along with your tripod. The kind of head will depend on what you want to shoot, but the commonest type today is a ballhead which works well for various photography requirements. Because it takes pretty longer to set up a tripod, it’s advisable to first find your composition and then pay attention to the tripod. Hence, walk around and observe your subject from various angles. Looking through your viewfinder may help as you can see exactly what the composition will look like in the actual image. This will give you space to stand between the other two legs (minimizing the risk for you to trip over the tripod) and it can also help stabilize the camera to some more extent when it’s pointing towards the ground. This will ensure the weight of your camera is distributed evenly to all the three legs. You can also take help of a bubble level that is attached to the center post to level the tripod like this and show you exactly when it’s good to go. If there are no bubble levels already built-in on your tripod, they are typically specific to each model of tripod and available at a reasonable price. The center post is considerably less stable than the three legs of the tripod spread out. Hence use the center post only as a last resort. This may cause some frustration while setting up the tripod to a perfect height, but keep in mind that it will help you to get the sharpest photos. Use these tips to make use of your tripod effectively and you will get images that you will be proud of.